* Cigars deserve the protection this travel cigarette case will provide! * The included cigarette anti-humidification device takes minimal space inside this Silver Cigarette Case. 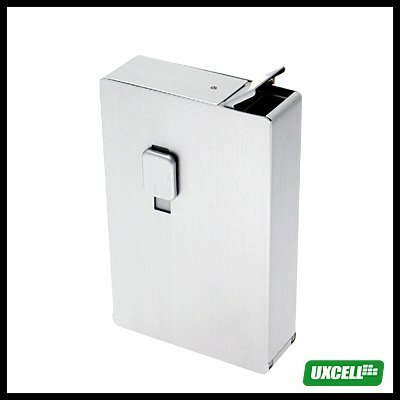 * Two firm clasps keep the Aluminum Cigarette Case tight till you are ready to open the unit. * The NEW Cigarette Box makes a wonderful gift! * Measures approx: 3 5/8" X 2 1/2" X 3/4"